Compositions by members Bruckmann, Ingalls, Ingle, Jones, and Ulman, along w/ collective improvisations. Available for download purchase and/or streaming from all the predictable sources, including iTunes, cdbaby, Amazon, and bandcamp. 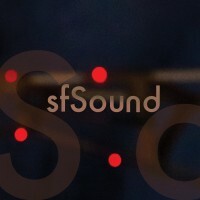 “Over the past decade, sfSound has explored the territory between the concert hall and the experimental music underground. sfSoundGroup, the organization’s performing ensemble, is a fluid collective of multi-faceted interpreters and composer/performers dedicated to innovative collaborative work. Our programs feature our own compositions, improvisations, new commissions, and existing repertoire with an international scope and a distinctly West Coast spin — honoring and striving to continue the San Francisco Bay Area’s critical historical role in the development of the American Experimental tradition. Since 2003, our sfSoundSeries has been presenting a mix of solo, chamber, and large ensemble works, often incorporating electronics and emphasizing the continuum between notated composition and free improvisation. In addition, we produce the annual San Francisco Tape Music Festival, host the sfSoundRadio internet radio station, and collaborate frequently with other like-minded artists.